Why do so many people think that reading a book or taking a class makes one spiritual? As a Shaman, I say it is not so. However, there are so many people who would disagree. Why do so many people think that reading a book or taking a class makes one spiritual? As a Shaman, I say it is not so. However, there are so many people who would disagree. They honestly believe that if they read a text in a book or study a scripture it makes them holy or spiritual. What a load of crap! Who makes up these foolish rules about spirit? I often hear that people who go to church every Sunday believe they are reaching God. I like to use the word “Source” instead of “God.” Source sounds better because it encompasses everything, and most of all, God is your Source. Source is creation — the energy that all things come from, in terms of the basic understanding of evolution. To truly evolve, there must be an error, so that one learns from it and makes choices that lead to balance. So if you’re just sitting and digesting information or listening to someone speak about Source, it’s not enough. Information that sits without being put to the test is wasted energy or knowledge. Plus, it gives you no proof of validity. No wonder why so many people in religion are “building their team.” Or should I say, building their belief that they are right. It offers nothing in return. That’s why nothing changes in those people who just listen, read or digest. They look like a bunch of bobbleheads bobbing all over the place, yet nothing is happening. To really walk a spiritual path, one must think for themselves like Christ or Buddha or Muhammad, among the many other great children of Source. When you think independently and allow yourself to experience life through your thinking process, you allow Source to make a connection with you individually. This opens you to your own knowledge and path that can be shared and embraced by those who feel a resonance to it. You become a vessel for which the divine can pour into, and the effect can create great change in your life. When your cup is filled to the brim, there is nothing that Source can pour in. You become stale and stagnant, and after awhile, possibly even robotic. You become angry at other views instead of sharing and acknowledging the way Source delivers many messages through many vessels. The anger is fueled by your fear and the need to protect your belief. You really begin to think that by sharing your ideas, spirit will leave you or you will be tainted. It’s so silly to think that. If you believe what you believe, that is all fine and dandy. Then go out there and put it to use in your daily life, not just in your head. Find out if your information works to create love and harmony on the planet. However, if it doesn’t, then get back to your drawing board and empty your cup and ask Source for another way to reach enlightenment or connect to Christ or whatever your supreme creator is called. It honestly doesn’t matter; what does matter is that you evolve with Source. 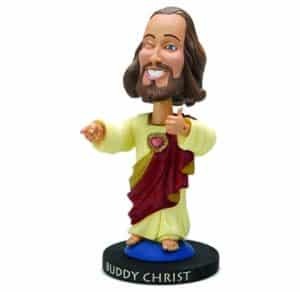 You’re not here to be a bobblehead, so get out there and put your beliefs to the test, whether it’s world peace or war and hate. What is better for us all, of course, is peace. So adjust to peace, because that’s what Source really, truly wants.